With only four existing communities as of 2011, relatively few Amish live in the Old Dominion State. Despite this, Virginia has a plethora of Amish furniture dealers found across the Commonwealth. Stores carrying Amish-made product can be found within easy range of Richmond, Virginia Beach, Norfolk, Chesapeake, Portsmouth, Newport News, Hampton, Roanoke, Charlottesville, Harrisonburg, Lynchburg, Blacksburg, and other cities in the state. Amish furniture outlet with a wide range of furniture, including bedrooms, dining rooms, children’s furniture, living rooms, kitchens. Sample Amish-made pieces include beds, hutches, dining tables and chairs, desks, entertainment centers, bookcases, cabinets, pie safes, end tables, TV stands, roll-top desks, love seats, and more. Mission, Shaker, and other styles. Also sells a line of pine furniture. Washington DC area. Carrying the Simply Amish line of furniture–Amish made furniture for each room of the home, with customized woods, sizes and finishes–among other non-Amish furniture brands. Within short driving range of the Washington DC metropolitan area. Also carries Doughty Glen, Millcraft and Penns Creek lines. Amish-made outdoor furniture, gazebos, chairs, tables. 90-minute drive west of Alexandria/DC area. Amish bedroom sets, beds, dressers, rockers (incl. hickory rockers), gliders, dining tables, dining chairs; as well as Amish outdoor furniture (poly furniture, gliders, tables) and Amish outdoor structures (sheds, play houses, pet structures, storage barns, gazebos, (portable) chicken coops, kennels). Specialty items including planters, hat racks, rustic furniture, bowls, birdhouses, quilt racks. Amish furniture and accessories one hour west of the Washington DC area. Living room and dining room furniture plus a variety of Amish made wood accessory items, including quilt shelves, chests, bread boxes, baskets, occasional tables, toys and games, children’s furniture. Oak and cherry Amish furniture; custom Amish furniture. Jewelry armoires, night stands, bar stools and chairs, hutches, kitchen islands, beds, chests of drawers, nightstands, occasional tables, sideboards, wine cabinets, lingerie chests, curios, entertainment centers, gliders, bookcases, credenzas, filing cabinets, desks (incl. roll-top desks), more. One hour west of Richmond. Amish-made bedroom, living room, office, dining room furniture. Available woods include quartersawn oak, red oak, and cherry. Variety of stains available for both oak and cherry. Chairs, footstools, dressers, filing cabinets, bookcases, end tables, loveseats, desks, armoires, among the many furniture pieces available. Automotive trailer business also selling wide range of Amish-made outdoor furniture, including chairs, tables, poly furniture, as well as lawn ornaments, lighthouses, windmills, and swings. Newport News area. Amish-made furniture featuring cherry, maple and oak woods, in Shaker, Mission, and Traditional styles. 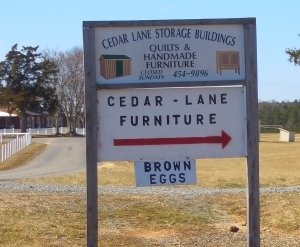 Amish cabinets, occasional tables, bookcases, curios, benches, cedar chests, children’s furniture, along with a range of Amish office furniture, bedroom furniture, more. Variety of wood stains available. 1 hour northeast of Charlottesville. Lying 90 minutes west of Blacksburg, Clinch Mountain Amish Furniture sells the handiwork of Amish craftsmen from Ohio (Holmes & Wayne Counties). Approximately 25 Amish workshops provide furniture for every room of the home, including bedroom, living room, dining room, home and professional office, rockers, benches and accent items. Custom orders available. Both in-store pickup and white glove delivery available. Also sells home items and gifts including P. Graham Dunn artwork, yard flags, and Troyer jams and jellies. Beachy Amish-owned store selling furniture produced by Amish in Ohio. Also sells outdoor items along with custom cabinetry and furniture. Carries a variety of manufacturers including the Borkholder line of Nappanee, Indiana Amish-made furniture. Selling Amish furniture for over a quarter-century; Amish woodworkers from the Holmes County area. Amish entertainment centers, bedroom furniture, dining rooms. Amish-made chairs, hutches, cupboards, benches, pie safes, TV stands, media storage cabinets, home theaters, beds, dressers, more, in styles including Shaker, Arts and Crafts, and more. Hardwood construction including cherry, walnut, oak, maple. If you’re looking for Amish furniture in states besides Virginia, try the Amish Furniture directory main page, containing listings of Amish furniture dealers and woodworkers across America. Note to Virginia residents: Please be sure to check opening hours of any Amish furniture businesses listed in this guide before traveling long distances. While we strive to keep this directory up-to-date, business locations and schedules can change. Not responsible for changes to information. Where do Amish live in the Old Dominion State? 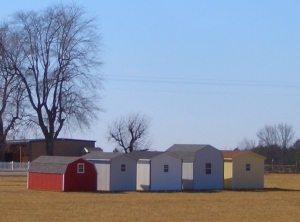 Virginia has a small Amish presence, with four communities found across the state. Virginia’s oldest Amish enclave is located in the mountains of Giles County in the west of the state, near the town of Pearisburg. Other Virginia Amish communities can be found in Halifax County, Charlotte County, and Lee County. None of the Amish settlements in VA exceed more than a few dozen households. Though small, numerous family businesses can be found in communities of Virginia Amish. Furniture makers, shed builders, and sawmills are among those Amish companies represented among Amish in the Old Dominion state. Read more about Amish communities in VA in the Amish America state guide: Amish Virginia. VA residents can acquire Amish furniture via a variety of methods. The most convenient for many residents of the Old Dominion State will likely be visiting one of the Commonwealth’s many Amish furniture outlets. With locations from east to west, most state residents are within a reasonable drive of a Virginia Amish furniture store. Those wishing for a more direct experience can visit a wood craftsman in an Amish community, either in the state or in another state with a large Amish presence. With the relatively limited number of Virginia-based Amish wood craftsmen, Amish furniture shoppers might opt for a trip to Lancaster County or one of the other significant Amish communities within driving range of VA. Prefer to cut down on the travel and find your furniture from the comfort of the couch? Give Dutchcrafters.com a try. The company delivers their Amish & Mennonite-made products to Virginia and other states. I just moved to Gloucester and I am looking for the closest place to have some cabinets made for my kitchen. Corry, one option you might consider is Kempsville Cabinets in the Virginia Beach area. They are not Amish, but come from Amish background and are Beachy Amish. I am looking for the Amish furniture makers that set up at the Hillsville Flea market in Virginia..can anyone tell me who they are or the name or phone number? P.S. Such beautiful trees should be something more than firewood or chips for smoking. Thank you for attention to this matter!